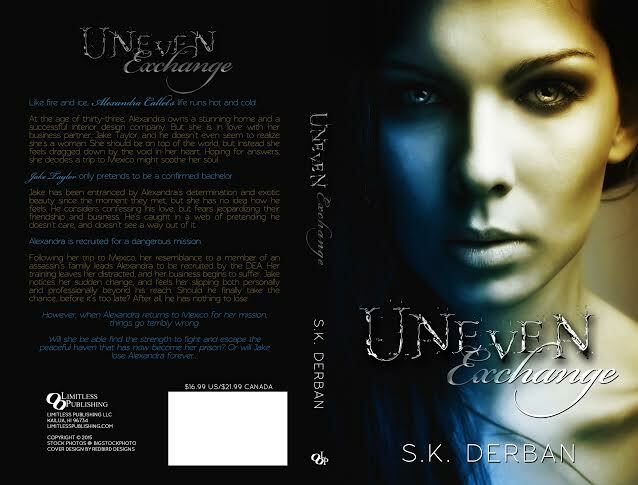 UNEVEN EXCHANGE by SK Derban is available for purchase! Every so often while eating, Armando casually glanced in Daniela’s direction. However, he soon became distracted by his meal. After what seemed to be just a few moments, Armando was surprised when he looked up and saw Daniela walking directly toward him. She wore a matching black linen button-down blouse and wrap skirt with black espadrilles. Their ankle ties accentuated the firmness of her bare, sculptured calves. The arm openings of her sleeveless blouse were cut inwardly at an angle, revealing the graceful line of her shoulders. The skirt hit right below the knee, but as Daniela walked toward him, her movements caused the split to flap open, revealing a provocative and ample view of her inner thigh with each step. 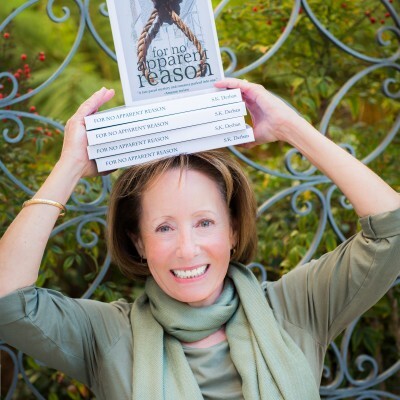 Daniela’s hair was loosely secured, with soft tendrils surrounding her face and lightly brushing against her neck. The slightly tousled look only enhanced her beauty. Armando stared helplessly, his mouth open. She stopped directly in front of him and held out a cocktail napkin. Armando could feel her perfume penetrating his body. Slowly, he accepted the napkin. “Sssshhhh,” she whispered, while gently placing a finger over her full parted lips when he started to speak. Then she turned and seductively sauntered away. Without breathing, Armando visually followed the languid sway of her hips as Daniela walked through the restaurant and toward the front exit. Armando remained breathless as he continued to grip the folded napkin. Still in a trance, Armando unfolded the napkin and placed it on the table. The only writing was a telephone number. “Who could miss it?” Armando exhaled loudly before asking, “Now how am I ever going to make it through the night? It’s going to be even more difficult knowing she’s right next door.” “How about taking a cold shower?” Conner suggested.